"One of the most inventive storytellers writing today"
"The modern master of the action thriller." "Nobody—and I mean nobody—does this stuff better than Rollins." 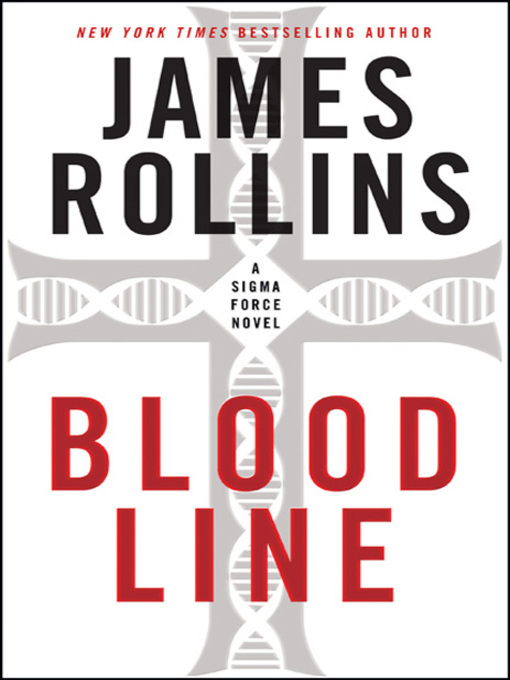 Bloodline, a breathtaking Sigma Force thriller from the phenomenal James Rollins, is further proof that, when it comes to explosive adventure and nail-biting suspense, this New York Times bestselling author is one of the very best in the business! Bloodline is a lightning-paced, unputdownable international thriller chock-full of the trademark elements that have propelled Rollins to the top of virtually every national bestseller list: cutting-edge science ingeniously blending with history and nonstop action. A relentlessly exciting tale that races across the globe, Bloodline ensnares popular series hero Commander Gray Pierce in a deadly conspiracy involving Somali pirates, the kidnapped daughter of the U.S. Vice President, and a dark secret hiding in the human genetic code. This is mystery, suspense, surprise, and ingeniously inventive storytelling as only James Rollins can do it.